The Project M android... haven't I seen you somewhere before? It's uncanny! 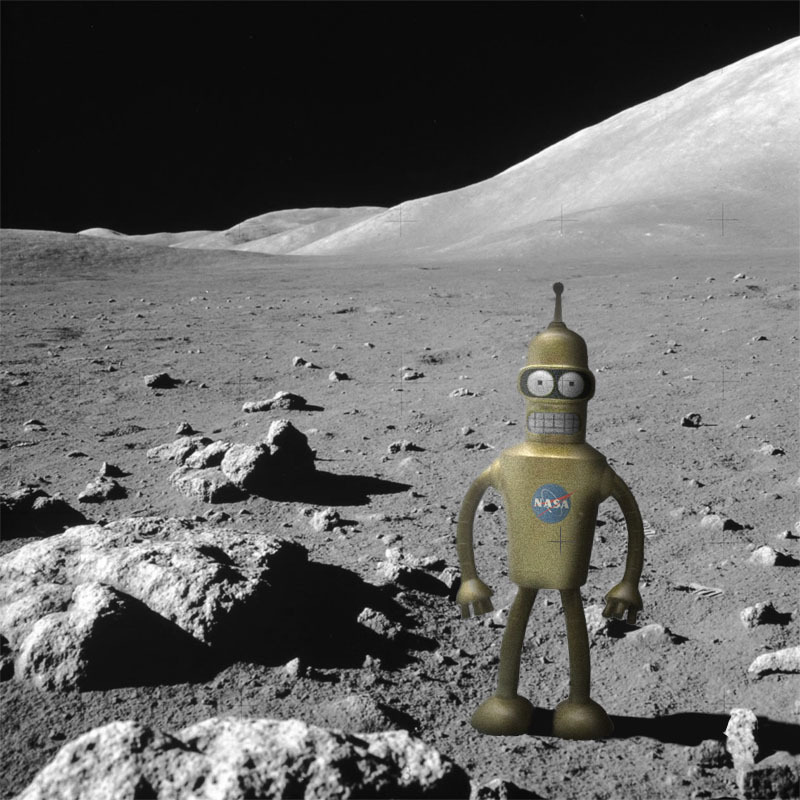 Bender from Futurama explores the lunar surface (NASA/20th Century Fox/Ian O'Neill). I think Futurama’s Bender would do a fine job exploring the moon.